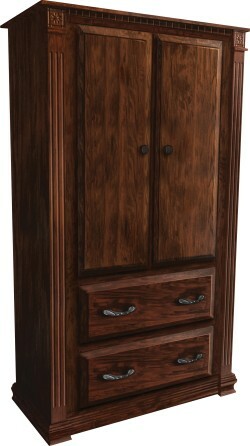 Armoires are a great alternative or addition to closets. 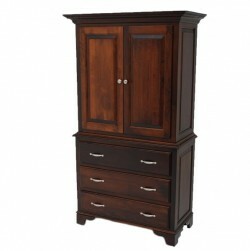 Amish Originals offers a selection of beautifully handcrafted Armoires in various sizes to suit your storage needs. 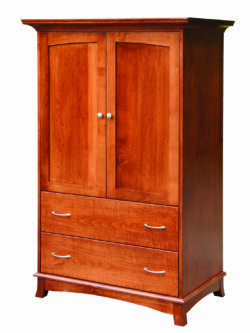 The great thing about Armoires is that they offer drawers for folded clothing as well as an area for hanging clothes, giving you the versatility you need. 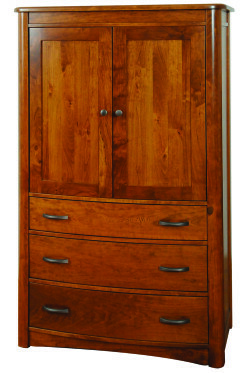 These armoires are timeless, heirloom pieces that can be passed down from generation to generation. 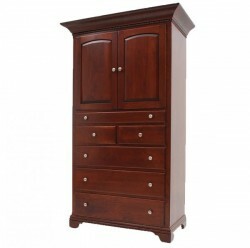 All of our furniture is crafted with high quality and durable lumber. 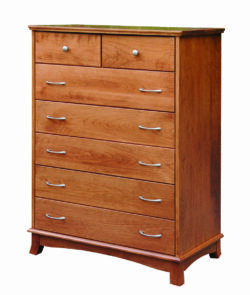 Choose from multiple different wood types including Brown Maple, Oak, Quarter Sawn White Oak, and Cherry. 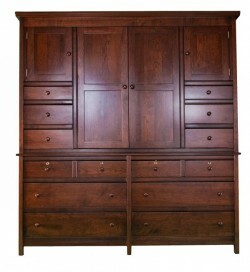 Prices vary depending on wood type and size. 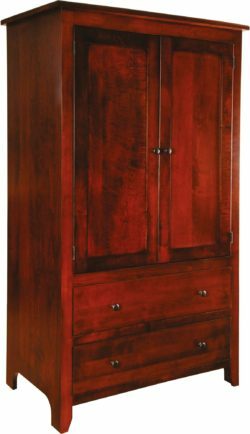 Contact Amish Originals today to request a quote on a handcrafted Armoire, or visit our Westerville, Ohio showroom to see all we have to offer.